Chester Bowl Cadets are teen/tween volunteers, and are essential to our program. Ski & Snowboard Cadets help during lessons, teach people to ride the chairlift correctly and help smaller kids get on the chairlift, and are available to ski or snowboard with kids who may need a little extra help. They are often the ones to take a new skier or snowboarder up the chairlift for the very first time. Freestyle cadets help during Freestyle Fridays, maintain the terrain park, teach people to ride the chairlift correctly and help smaller kids get on the chairlift, and are also available to ski or snowboard with kids who need a little help on the hill. The Cadet program has two purposes: to provide leadership and growth opportunities for teens and tweens, and to provide assistance and role models to our younger and/or newer participants. The rest of this section is divided into two parts: for parents of skiers and snowboarders needing assistance, and for Cadets and their families. 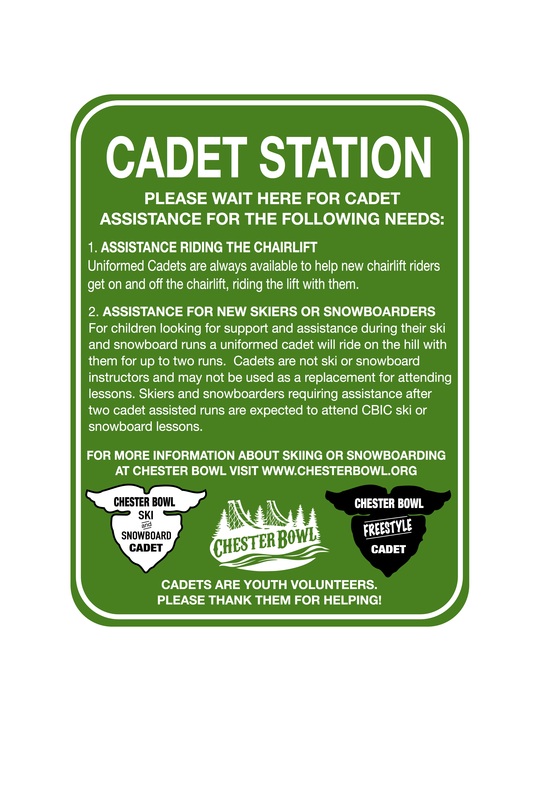 Cadets in both of our programs (ski and snowboard cadets and freestyle cadets) are available to assist those learning to ski and snowboard at Chester Bowl. Cadets are always available to be chairlift partners to those who need assistance riding the lift. They can also be skiing/boarding buddies for limited numbers of trips up and down the hill. Cadets are a supplement to lessons, but should not be used as a replacement for attending our free skiing and snowboarding lessons. Cadets have been through two trainings with our staff, and are supervised by the Program Manager and two parent volunteers. We are transitioning over two years towards Cadets needing to be in 7th grade. For the winter of 2019/2020, Cadets must be 12 years old by December 26th (the first day of Ski and Snowboard Camp) and/or in 7th grade. For the winter of 2020/2021, all Cadets must be in 7th grade to participate. Participants are recruited during the fall, especially around the time of ski/snowboard fittings and the lottery, and have trainings before the hill opens in December. Cadets are expected to volunteer for a total of 50 hours over the course of the season, prioritizing the December Holiday Break, Saturday lessons, and Freestyle Fridays. In return for their time, cadets receive free food while working. 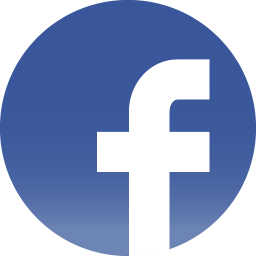 If your child wants to be a cadet they can up online at a link that will be posted to this page in fall, or at the ski lottery or fittings. All cadets will need to attend an indoor training in Fall/Winter 2019. Freestyle cadets will have their outdoor training (and do the initial terrain park setup) on at day and time to be determined. Ski and Snowboard Cadets will have their outdoor training with instructors on a day and time to be determined. Both trainings are dependent on Chester Bowl having snow and being open for the season, and may be re-scheduled if we are not yet open.